Not one to shy away from sharing my opinion (last week Facebook vs Twitter) I have another one for all of those of you who have a New Year’s resolutions involving running, fitness or exercise. There are many gadgets out there to make the experience much more enjoyable. A few of those include: cold gear – a must in the mid-west, GU – for distance and endurance, ipods – for inspiration, and GPS watches – to track performance. The last two are what I would like to share my opinion on. If you are making an investment in your running career and are considering a Garmin training watch or a ipod – GO WITH GARMIN!!! The service is better. Forget what they say about Apple. 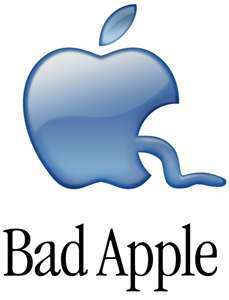 Personally, I have never had a good experience at an Apple Store let alone a great one. The ipod may make you feel like it is inspiring you to train better, but the watch really does help you focus on peak performance. Garmin’s software will download, even on Christmas. Apple; 22 hours remaining to download. No pre-planning necessary with the Garmin – Just do it. A key to improving performance is keeping a log – Garmin does it for you. Garmin keeps you honest. 1.5 miles really is 1.5 miles not 5k.